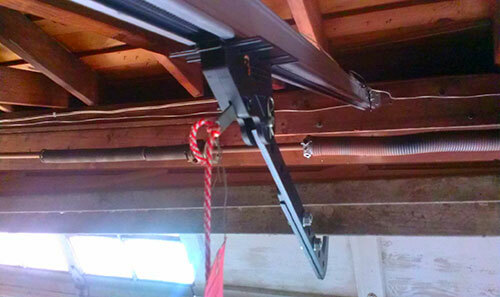 Garage door openers are a part of a system that has quite a few exposed moving parts. As it is with any machinery, they can be dangerous if their safety features are not up to par. Having them is essential for avoiding unnecessary accidents like the door coming down on a car, or worse still, someone’s head. So make sure that all of the safety features in your system are working the way they should by following this simple guide. Electric garage doors are powered, as their name suggests. So it is important to ensure that all protective coverings on your opener are properly sealed and cannot be easily tampered with. Contact with any of the device’s electronics could result in electrocution, leading to injury or even death. So for this reason, a properly sealed shell should be considered a part of your opener’s safety features and should be inspected regularly for damages. The fact that most doors are suspended makes them somewhat of a hazard for anyone or anything beneath them. This is why it is vital to take good care of the components that are meant to support your system and hold it in place. 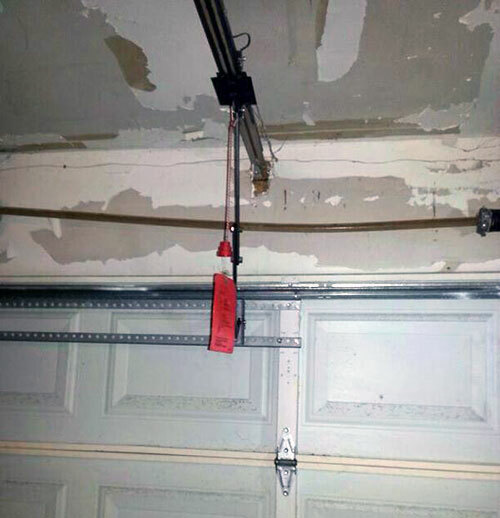 The garage door safety cable should always be inspected to make sure that it can take the load of your door should something fail. Door springs are your first line of safety. Aside from offering the door lifting power, it does most of the work when it comes to balancing the door and keeping it where it should be. These are probably the most important part of your setup’s safety, so make sure there are never any stress-marks, cracks or rust on your springs. By US law, every automatic opener needs to come with a properly functioning set of safety sensors. Their job is to make sure that the door is never a danger while being operated. They omit a beam of infrared light that when interrupted, halts the door’s operation and reverses it. If the sensors are not working correctly, the door will not stop for whatever is in its path, causing injury, damage to the property it collides with, and even the door itself. Most openers also make use of a reverse function that detects when there is any unexpected pressure below the door, signaling to the opener that something is in the way. Even the slightest bit of pressure should reverse the door’s operation immediately. These various features and components should be tested regularly to make sure that they are performing the way they should. If anything is off, it is best to call a professional to come and take a look.